One side of a very clean glass plate is covered with a thin layer of collodion, then dipped in a silver nitrate solution. The plate is exposed to while still wet. 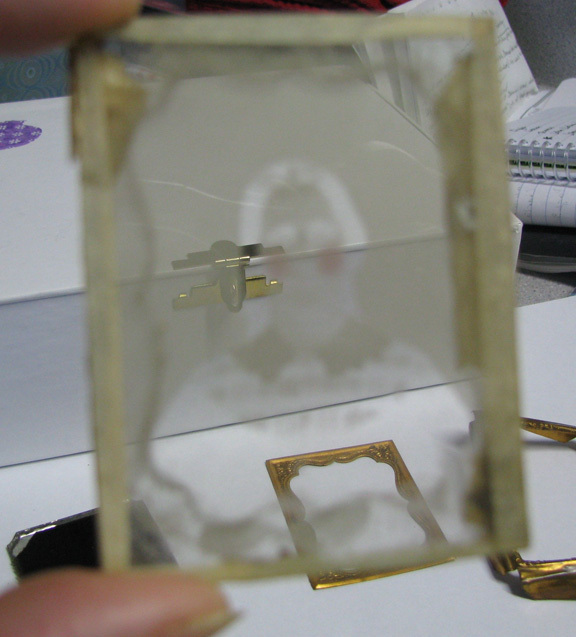 (Also known as a "wet plate" process) The plate is then developed and fixed. The resulting negative, when viewed against a black background, appears to be a positive image. The back is usually coated with black varnish or mounted in the case against a black cloth, making the image appear quite dark. 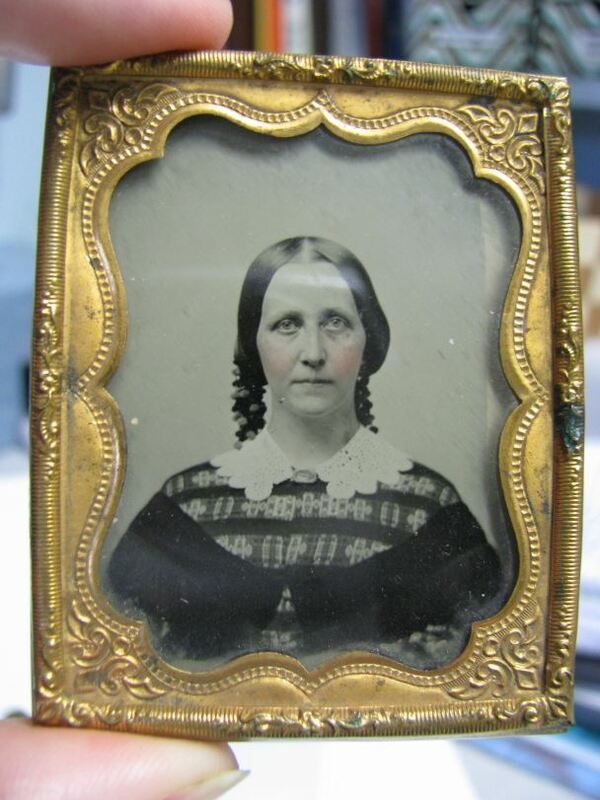 The Ambrotype is much less expensive to produce than the Daguerreotype.